When it comes to gas injection, it pays to work with an experienced manufacturer that has lived the ups and downs of moving from pilots to full-scale plants. A number of years ago, Mazzei Injector Company ran into an issue where the engineer had specified a system at 2 psi of water pressure. Working with the equivalent of atmospheric pressure, the system was not capable of dissolving the treatment gas, meaning that the plant at full capacity was unable to treat all its water. In the end Mazzei was able to resolve the issue and generate 99% transfer but it was expensive to fix after the system had started up. Flash forward to today and the Company with years more experience has the courage of its convictions to let operators and engineers know if their plan is not going to work. 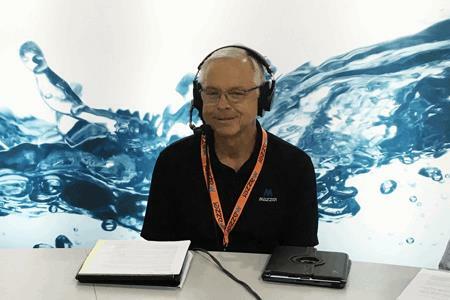 As Jim Jackson, Director of Municipal Sales for Mazzei Injector Company, explains in this Water Talk interview, the growing trend in water reuse provides some very unique challenges for ozone injection.